Gay Head Light needs to be moved next year; project was referred to the commission to see if full review is necessary. A subcommittee of the Martha’s Vineyard Commission will recommend that the Gay Head Light relocation project should not undergo review by the full commission. The project was referred to the MVC in September by the Aquinnah planning board as a possible development of regional impact. 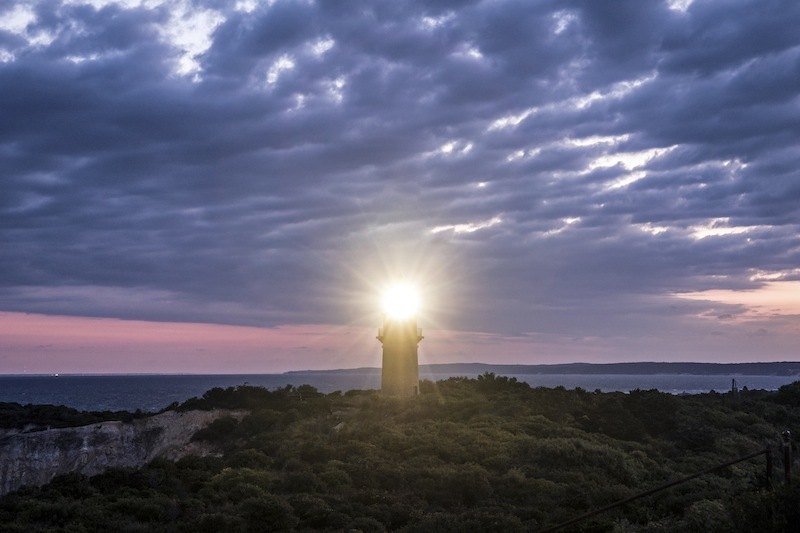 The town of Aquinnah is in the process of planning to move the lighthouse away from an eroding bluff; the move is scheduled to take place in spring 2015. MVC planner Paul Foley said Thursday that the main concern when the Land Use Planning Committee discussed the project this week was the possibility of finding Wampanoag artifacts in the 140-foot path of the lighthouse move. But he said the issue was “clearly under control,” with oversight by state, federal and tribal authorities. The LUPC voted not to recommend review of the project; the full commission will decide on the matter at a commission meting Oct. 16. “It doesn’t look like the town is going to engage itself in a full DRI application at the MVC,” town administrator Adam Wilson said at a selectmen’s meeting in Aquinnah on Tuesday. Mr. Wilson had attended the LUPC meeting on Monday. In other news Tuesday, the Aquinnah selectmen welcomed Sibel Suman as administrative assistant to the affordable housing committee, and appointed Morgan Stanley-Kominers to be the new library assistant. Sarah Thulin, chairwoman of the town’s conservation commission, was appointed to fill a vacancy on the Land Bank Commission following the resignation this summer of Carlos Montoya, whose term was to end in May. “I’m interested in doing this to get familiar with the role,” Ms. Thulin said. “And I thought this would be a good way for me to step in.” She added that Aquinnah was currently not represented on the commission. She may run for election to a three year term in May. “We sorely need representation on the Land Bank,” said selectman James Newman. The selectmen accepted a contract for the sanding and refinishing the floor in the town library, with work to begin this weekend. The library will be closed Tuesday, Thursday and Saturday next week and will reopen Tuesday, Oct. 21. This is beautiful. The library, open only a few hours a week, can get their floors refinished, the town hall, with mostly part-time employees, gets new paint, floors and carpets. But the police station, open 24 hours, floor is rotting and the building is falling apart.